Cancer is a scary word for everyone who encounters it. Whether you are personally affected by it, or if you know someone who has been diagnosed, dealing with it can be an incredibly stressful and anxiety-ridden time. Still, it is important to remember that cancer is not a death sentence as it was used to be considered. This is true even for aggressive and incurable types of cancer such as mesothelioma. Mesothelioma is a cancer that affects the lungs, stomach or heart of a person who has inhaled or ingested asbestos fibres. Asbestos was once commonly used in building and construction materials, especially during the second half of the twentieth century. When it comes to mesothelioma treatments, you might be surprised to learn that diet and nutrition can play an important role in keeping patients healthy. The more you think about it, however, the less surprised you might be. Research has long shown that the foods a patient consumes over the long term can have significant effects on his or her health. Eating foods that are unhealthy for you will unlikely cause you long-term harm if not consumed on a regular basis as everyone is entitled to a favourite treat every now and then. But do not let a cancer diagnosis encourage more regular junk food eating. This is not to say that a bag of chips will cause irreparable harm, but it does not really help to indulge too often. You are doing yourself a big favour by ensuring that the rest of your diet is generally a healthy one. For the long term, your daily plan should be to eat foods that have been proven to help with your type of cancer. Phytonutrients and antioxidants can play a large role in the health of your body. Regular supplements such as microalgae can help replenish those depleted but necessary substances in the body. In addition, it is helpful to realize that the treatments for mesothelioma, like almost all cancer treatments, will likely adversely affect the appetite. If you are dealing with this type of cancer, it is important to stock your kitchen with your favourite health foods. Maintaining a healthy weight for yourself through nutritious foods will go a long way in maintaining your health. Even if you do not feel like eating, it is still important to do so several times a day. Radiation and chemotherapy are especially known for curbing one’s appetite and causing nausea, but considering the toll those treatments take on the body, it is all the more important that you are well-fed. Do not be afraid to ask a friend or family member to keep an eye on your eating habits, as you could be busy with treatments or mostly tired that you forget to eat. It always helps when you have a support system that will ensure that you stay as healthy as possible. 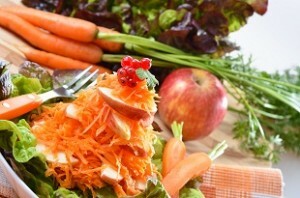 Relying on a diet with plenty of fresh fruits and vegetables helps to give the body what it craves and needs. Staying away from processed foods on a regular basis will leave more room for nutrient-packed and healthy foods. Additionally, drinking lots of fresh water helps rid the body of unwanted toxins. If you are taking care of a relative or family member who is dealing with mesothelioma, it is important for you to provide them with their favourite healthy food in meal-size portions. Emphasize high protein meats that are cut leanly. Supplementing the diet of the individual with vitamins and minerals helps to ensure that their body is getting all it needs to remain strong. By taking the time to prepare fresh, high-quality and healthy meals, you can leave them with a number of different prepared meals to choose from if you are not there at meal times. One of the hardest things for a caregiver to do is to make sure that the patient is eating well and often, yet this is also one of their most important tasks. A healthy, well-fed body is a stronger body. The body’s battle against cancer is a long and arduous one, but by fuelling and ensuring that the body gets the right food increases its fighting chance. Greta is a long-time blogger on health blogs just like this one. She lives and works in White Plains, just two blocks from her favourite bookstore. When she’s not blogging, she likes to write short stories about space travel.